Founded by Pieter Dubois and Nick Catsburg, two automotive and business professionals with a background in motorsport, SYNTIX Lubricants produces the highest quality of lubricants for a broad diversity of industries and applications, such as automotive, agriculture, heavy-duty and professional road transport. With a worldwide unique web-based sales and distribution concept, products are globally available. Together with leading chemical specialists, Syntix has developed several ranges of products, based on high quality base oil, combined with proven additive packages. This results into pure products with the best protection and lubrication characteristics. 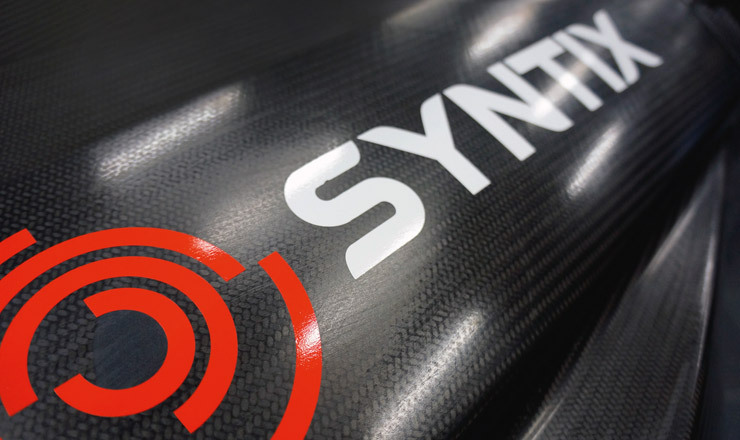 All Syntix products are produced following API / ACEA certifications/standards and specification from, Porsche, BMW, Mercedes-Benz, Volkswagen, Audi, Opel, General Motors, Subaru, Toyota, Fiat, KIA, Renault, Honda, Mazda, Ford, MAN Subaru and many industrial brands. All Syntix products are being blended with state-of-the-art technology and latest high-tech equipment. Samples from each batch are being taken, analyzed and stored, with a 100 percent quality score. The unique and non-conventional Syntix platform is not only cost-effective, which gives the opportunity to sell high-end products at competitive prices but also makes the brand grow extremely fast. 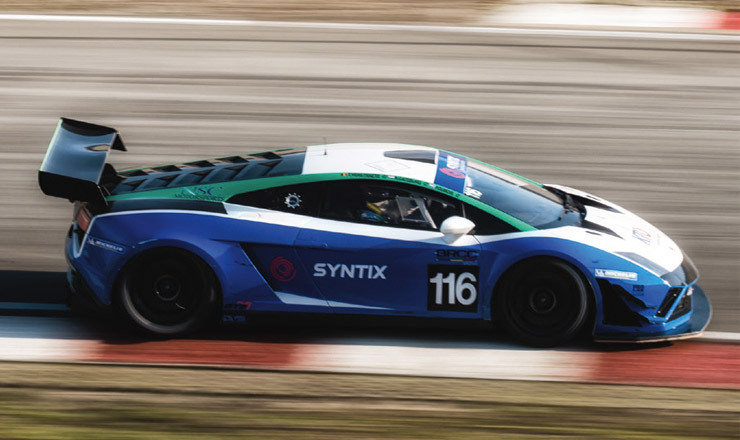 Syntix products are being used in motorsport, where every hundredth of a second counts and the best performance is required in all conditions. Often, the relevance of oil for the best possible protection is not being acknowledged. 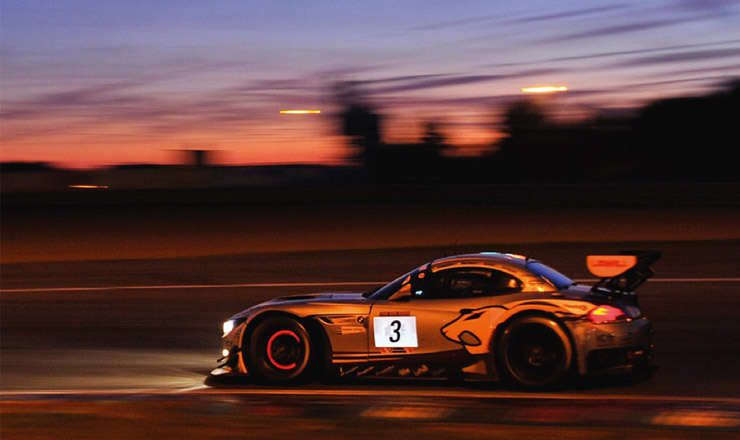 With professional advice and support for teams in motorsport, Syntix helps contribute to achieve the best results on the race tracks all over the world. Moreover, motorsport experience and our marketing activities in this dynamic scene also contribute to the high-end brand positioning. SYNTIX Lubricants is active in three different branches. Providing consumers with products for their passenger or company cars and making sure the demanding Motorsport environment can rely on high performance products. Last but not least, the professional segment. In consultation with each company we provide a custom supply of high quality products, monitoring and balancing usage, deliverance and costs to enable an efficient business flow. From the initial consultancy and design to the final delivery logistics, we provide customized supply chain solutions for all lubricants sectors. Designing and operating a customized joint-label that delivers multiple benefits is at the heart of our solutions. The SYNTIX joint-label concept makes your organization more efficient and your business more competitive. This unique concept creates better sales opportunities. The customization can personalize a customer’s shopping experience, that could lead to higher customer loyalty. Joint-labels offer retailers control over product factors such as pricing, size, packaging design, production and distribution. Retailers can develop and implement innovative ideas to gain market share over national brands. This includes the ability to make quick adjustments to products based on customers changing preferences. In this way SYNTIX and her joint-label customers are both complementary to each other. Since the beginning of SYNTIX Lubricants, branding has been a big part of the company and definitely contributed to its early success. Both online and offline presence have been setup in a way that immediately showed the high-end/highquality nature of the company. SYNTIX Lubricants opted for an all-in strategy in terms of promotional activities and offline presence. Forming partnerships with well-respected companies and professional sports teams. These partnerships enabled SYNTIX to quickly create a buzz around the brand and moreover, the link with motorsport also contributes to the continuous improvement of the Syntix product range. In terms of online presence and social media SYNTIX Lubricants puts big effort in its website. The look and feel and the use of the latest technologies contribute to the “only the best will do” mentality. Using in-house web specialists enables the company to constantly improve its platform. The website is not only a great branding tool, but also setup to be very cost-effective. The website itself only shows the tip of the iceberg of SYNTIX sales and its distribution concept, the backend is a sophisticated system which helps the SYNTIX brand to grow extremely fast, without problems. Engaging with motorsport and Syntix fans on a daily basis creates great market awareness and helps create a strong brand. The SYNTIX Lubricants brand has not gone unnoticed. There has been a lot of interest already from international wholesalers, importers and lubricant related companies from all over the world . Some of them are also found in big growth markets such as Asia and Africa. SYNTIX is looking forward to extend its branding efforts in Europe but also looks forward to explore other markets. The company is currently working intensively on export projects to several countries in Africa and Asia. The initial primary target is creating quality volume in Europe, enabled by partnerships with extensive dealer networks, international race-teams and professional industrial companies. SYNTIX Lubricants is looking forward to become a “unique” player and has already initiated a fast expansion of its network via professional international partners.